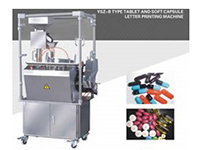 Medicine printer is divided into tablet type and capsule type, which can not only mark the pharmaceutical information on the tablet or capsule, but also print the beautiful patterns to enhance the company image. Our product is equipped with wheels on the bottom, so users can flexibly move the position of this device. 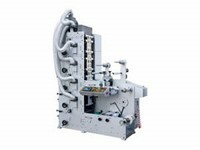 Besides, it features extremely high print speed, widely used for vacant capsule, filled capsule, soft capsule, etc. We are a medicine printer manufacturer based in China. 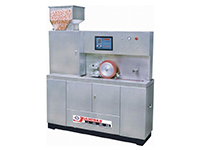 We offer an extensive line of products, including high efficiency tablet coating machine, AL-PVC/AL-AL blister packaging machine, high speed blister packaging machine, automatic medicine packaging production line, and much more. 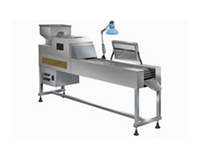 Drug Inspection MachineDrug inspection machine is a newly developed product in combination with the requirement of domestic pharmaceutical industry and the foreign advanced technology. 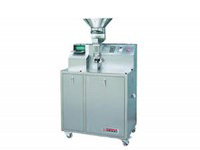 Also, it is an optimal device for inspection of hard capsule, soft capsule, tablets and pills, featuring no pollution, no static electricity, no corner, simple operation, low labor strength and high working efficiency in compliance with the GMP standard. Flexo Printing Machine With Die CuttingYR-II series flexo printing machine with die cutting is based on advanced flexo graphic advice as well as domestic and foreign process. It can be extensively applicable in wine, tobacco, medical and other industries for adhesive packaging and printing.